LA PLATA, Md. (WUSA9) -- Last summer, police in Charles County started investigating a case that gained national attention. 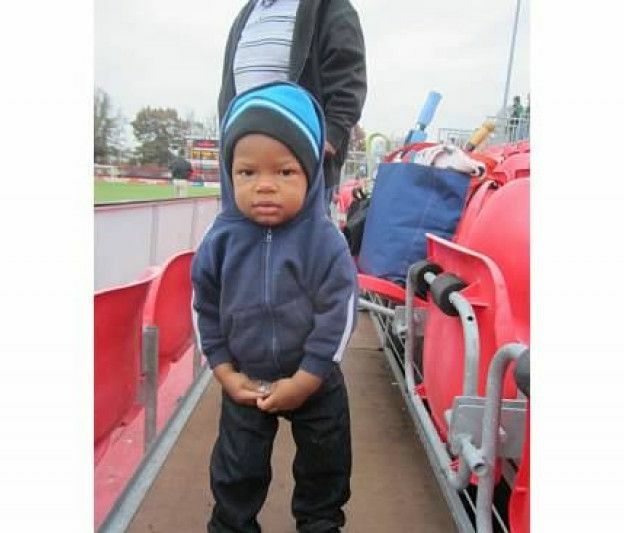 Investigators say 3-year-old, Ji'Aire Lee, died after his mother stood outside pushing him in park swing for two days. His mother, Romechia Simms, is charged with child abuse and faces decades behind bars. But as she prepares for trial - her mother and Lee's grandmother - Vontasha Simms - is trying to make sure her grandson isn't forgotten. "I'm not going to allow him to go in vain. So that's what keeps me going. It's not easy," Vontasha Simms said. "He was my everything." Simms is calling on lawmakers to pass House Bill 574. It's a bill supporters say protects adults with mental illness and their children - by ensuring someone in a mental health crisis can get help. The bill is only three pages, but for Simms it represents so much more. "Mental illness is a serious issue. It's a serious issue. We can no longer keep it under the covers. We can no longer continue to keep it in darkness because people are losing their lives," Simms said. Police came to Wills Memorial Park in La Plata after someone reported seeing a woman pushing a toddler for an abnormally long time. When they arrived they found Lee dead in a swing right. The medical examiner said the three-year-old died from hypothermia and dehydration. "I remember that day. Yes. I mean how could I ever forget that" Simms said. "That's when my world fell apart." Police arrested and charged Romechia Simms with first-degree child abuse, manslaughter, and neglect. But Simms said her daughter suffered from schizophrenia and started to show signs of mental illness a few months before. "We immediately started to seek help. Take her to different places, reaching out to different people, different agencies, different organizations." "If this was available. I feel that it would've made a really big difference in his life and also my daughter's life," Simms said. And she's is determined to spend every minute fighting for it. "Are you gonna stand and continue on? Are you going to fight or are you just going to lay down and wallow in your misery? And I'm not going to do that." The house will start discussing the proposal Tuesday afternoon. As for Romechia Simm's - her trial could begin as early as next week.